Being the Swede I am, I have always loved Scandinavian design (Ikea!) 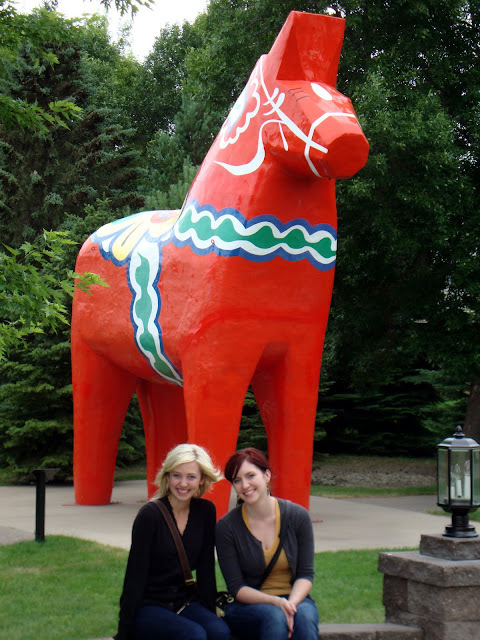 During my recent trip to North Dakota to attend my cousin's wedding, my sister, dad and I visited the Scandinavian Heritage Park in Minot. My favorite part was of course the 30 foot Dala horse! Above is my sister Amber (left) and me on the right. We flew out of Seattle at around midnight, and didn't arrive into Minot until about 11am. We then hopped off the plane, ate some lunch, and headed to the park. Needless to say, we were all feeling very tired and a bit haggard that day. We all had such a good time catching up with aunts, uncles and cousins; the last time we had been to North Dakota was about six years ago. We hope to make it back much sooner than that! 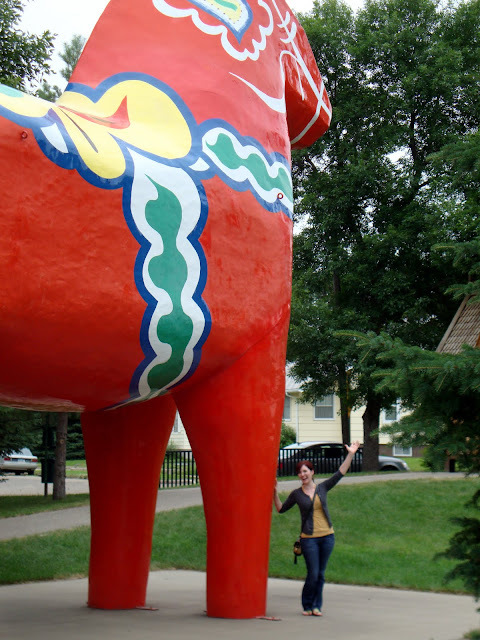 This visit to the Scandinavian Heritage Park rejuvenated my love for the Swedish toy horse known as the Dala horse. I can't get enough! 1. 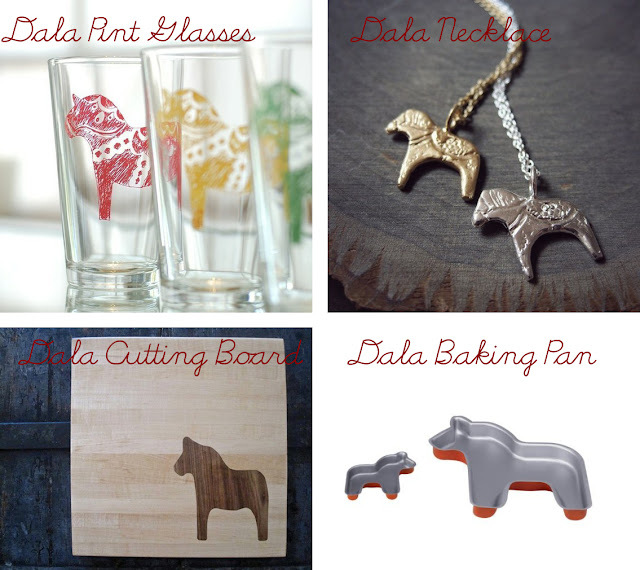 Dala Pint Glasses, Etsy. 3. Dala Cutting Board, Etsy. 4. Dala Baking Pan, Ikea.